Did you ever take a road trip when you were a kid? 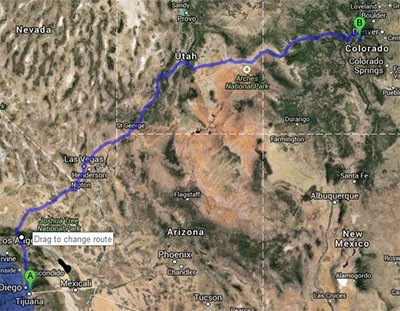 Our family drives from California to Colorado twice a year! Yes, that is 14-16 hours in the car with a 4 and 6 year old. That is a long time in the car! And while watching movies helps keep them entertained, as a parent I don't want them to sit in front of a screen for that long (even if it does keep them quiet). So we come up with games to play in the car. We do some of the classics like I spy, guess what animal I'm thinking of and finding the alphabet on road signs. These games are great time killers on a long road trip, they don't really stimulate imagination or creativity in my kids. To try and get them using their imagination more we play the "add on to the story" game. This is where one person starts a story and then another person picks up where the first left off and adds their own part of the story. Then it moves to the next person and so on until the story ends. It may start off with "Once upon a time there was a princess that lived in a castle... "and end with "...they lived happily ever after" (I have two girls) - but the middle is up to them to imagine and create as we drive. I thought this would be an awesome thing to do in the classroom if possible. Well, while looking around online this weekend I found a tool that makes this happen! Admittedly this tool is probably best for elementary school aged students - but I think with some good directions and a little planning it could be used in the upper grades. 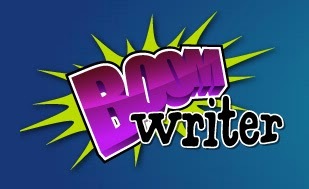 The website is Boom Writer - or @BoomWriter_ on Twitter. The website has a great "how-to" graphic...but here is a quick explaination. The teacher goes in and creates an account and then adds their students in their classes within the site (as a MS and HS teacher I would not want to input all of my students in the system...but a good TA could make it work!). There are ways to have them enter themselves in the class also if you want to go that route also. Once the second chapter is selected you can continue in the same way...keep going until your book is complete. So if a student's chapter was not selected this will motivate them to write again to hopefully be voted in for chapter 3. This just seems like a great tool and I would love to see my 1st grader get involved with this in her class. So what happens at the end? Well, I'm not in love with the way it ends...but there are pros and cons I suppose. Finished books are published! The problem is that they cost $9.99. I did not see anywhere on their website that you can get a free book - but I suppose they do need to make money. Again, in an elementary classroom this could be a great opportunity to have parents buy the book for their child as a keepsake. It would be nice if Boom Writer would give the teacher a free book if 20 books were purchased - but like I said, I did not see that as an option on their website. So anyway, I thought this was a pretty cool tool and wanted to share it with you. I can see it being very powerful in the lower grades...allowing for creativity and critical thinking (leaving the story open so it can continue). 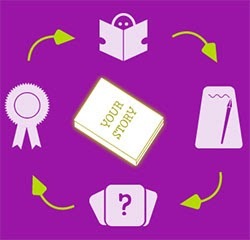 In the upper grades I think you could create a story for each class. And maybe you just have them write but they do not purchase the book in the end? The possibilities with this are endless. I can see two or three classes at the same site (or even better in different cities, states, countries) all in the same "class" all trying to be voted as the best next chapter. As a science teacher I could see some sort of sci-fi book with real science facts intertwined. History teachers could re-write history and see what changes students would allow. Elective classes and PE could start any story they wanted and easily have students writing in their classes also! And I think ELA teachers could figure out how to use this without any problems!